A loan of $5,000 helped open my own catering & cooking class kitchen. Growing up in the village of Gachie, Kenya, I learned to cook, and be an entrepreneur by the time I was 10 years. I sold potatoes, tomatoes, and collard greens that I had grown myself at the local farmers market and old newspapers to store owners in order to have my own pocket money. Since moving to Oregon, USA, as a young adult, that spirit of entrepreneurship has served me well. While completing my Bachelors of Science, in Business Management, I started Spice of Africa; a catering and cooking school that specializes in African food. Our first client was Portland Community College (PCC) where I taught a series of cooking classes in 2009. We are a company that has grown organically, and after those first initial cooking classes for PCC, we expanded into catering, private and fundraising dinners, as well as selling our food at our local farmers markets. We still teach community education classes at PCC. 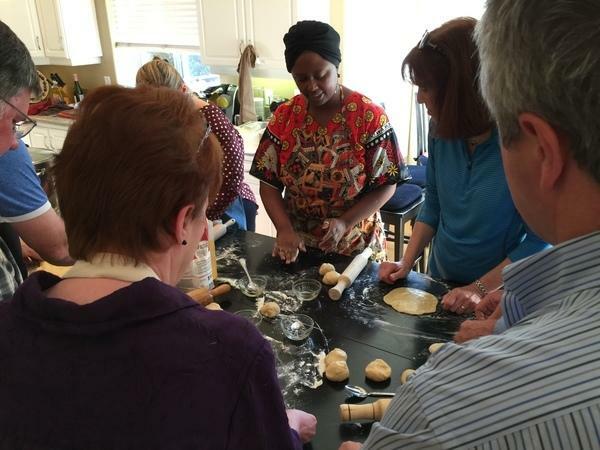 It supports a woman entrepreneur that provides authentic African catering and cooking classes. Spice of Africa offers a unique culinary experience! We create delicious African food that takes our patrons on a journey to explore African cuisine through their taste buds. Our patrons enjoy interactive, hands on, educative and informative, cooking classes. Through us they relive their African experience for those that have travelled or look forward to their journey for those about to embark on one to Africa. We also cater and host both private and public events as well as fundraising dinners. From 5 to 500 we have it covered. Ours is a unique niche as we find we are the only company that teaches classes of and offers East African food from Kenya. We have catering clients that enjoy patronizing us annually, and we have consistently added to our database of clients as we have grown, both in offering foods from West and North Africa. It will help me get even more business in the door as I can market and advertise my own kitchen, set my own hours and invite my patrons to have their dinner parties at my location.